What Food & Beverage Does The UK Export? Smylies are a leading supplier of UK food and drink to countries around the world. We work with big brands such as Cadbury’s, Warburtons and Aunt Bessie’s, as well as independent or artisanal companies like Booja Booja, Little Jude’s and LoveRaw. Our team have helped retailers, wholesalers and supermarkets around the globe import the best grocery, frozen and chilled produce from our warehouse in the North West of England. What are the main foods that the UK exports? What do our main importers love above everything else from the British Isles? Well according to the latest report from the Food and Drink Federation, an organisation who represent the UK’s food and drink manufacturing sector, alcoholic drinks were the most heavily exported products from Britain. Whisky topped the list as the most imported product by overseas, with beer, wine and gin also featuring in the top ten. Chocolate products were the second most heavily exported product from the UK, with salmon, cheese, beef soft drinks and wheat products making up the rest of the top 10. 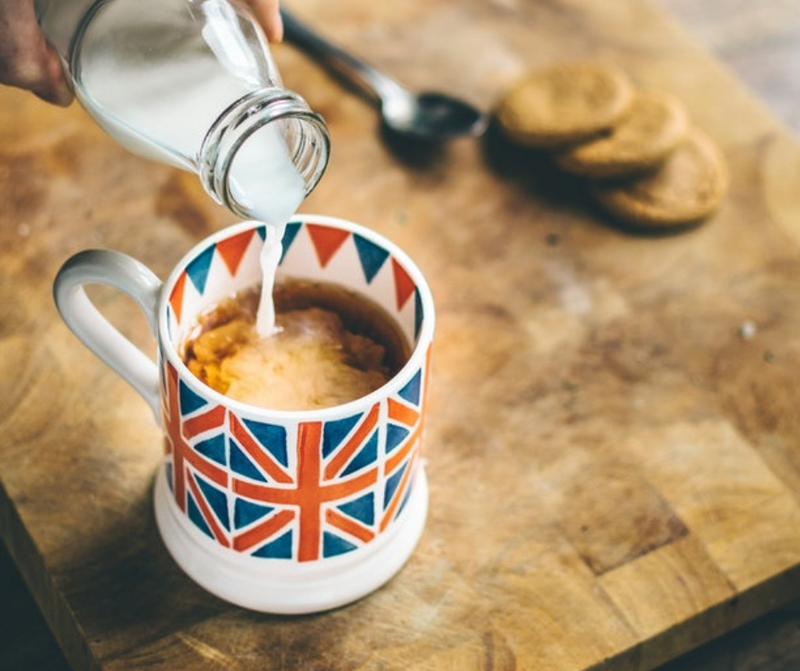 So now you know what food the UK food exports, you may be wondering how you can stock your shelves with Britain’s most popular food and drink products, and that’s where Smylies can assist you. Our experienced team provide worldwide businesses in a variety of different sectors with the UK’s most popular food & drink products. With UK food exports now on the rise, it is the perfect time to stock your shelves with the best of Britain! A good drink is loved by nations around the world with the industry being worth £139 million when it comes to exports. Smylies have teamed up with Magners, Brew Dog and Carlsberg for you to export beer and alcoholic drinks today. Smylies also offer brandy, cognac and rum for worldwide export. Of course, is there anything better than chocolate? From independent chocolatiers to big British brands, you’ll find everything you need from Smylies when it comes to great chocolate exports including Kinder, Mars and Thornton’s. Believe it or not, salmon is the second most exported food out of the UK, worth a whopping £186 million. Smylies have a great range of fish including fresh salmon and cod, you can find some of our fish range available to export here. Fourth on the list of ‘best British exports’ is, of course, cheese. Recently there has been an increase in the amount of cheese that is exported from the UK, and Smylies are keeping up with the demand with a great collection of independent labels from small farms in the country to bigger, well known brands. Take a look at our collection of uk cheese for export from Smylies. To see the full list of UK food and drink products that we stock, please browse our British brands of food and drink available for import. If you want to start your first personalized export order, then get in touch with the experts at Smylies. You can find everything you need to stock your shelves with us, all you need to do is get in touch with our dedicated team today by calling us on +44 (0) 151 653 3335, or alternatively contact us online and a member of staff will be in touch with you to help. Choose Smylies Ltd for UK services exports.